Questions about Kichler Lighting 49846BKT? 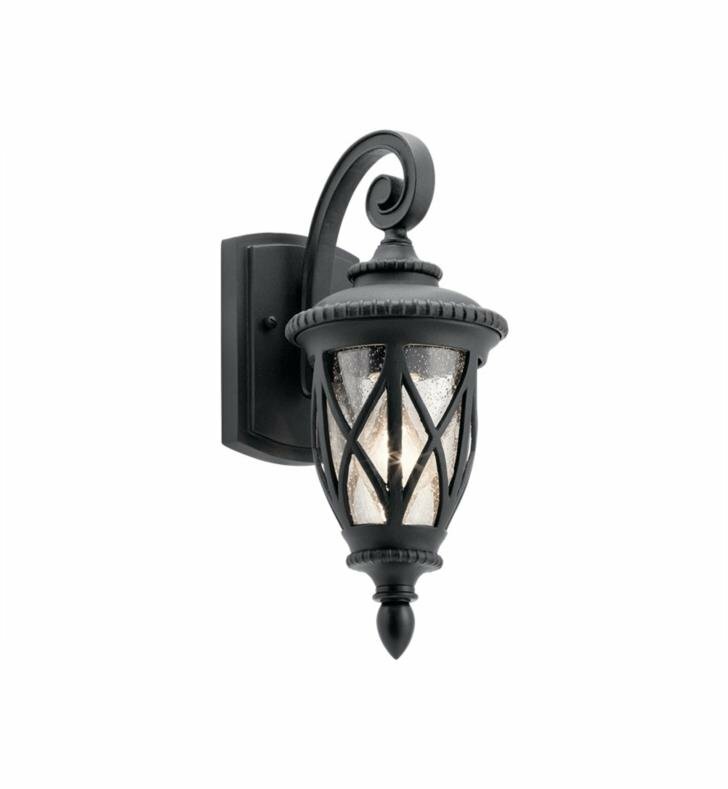 This Admirals Cove 1 Light Outdoor Wall Lantern blends tailored details with modern day performance. Crafted from Kichler’s climates materials it is designed to withstand harsh outdoor elements like saltwater spray and UV rays for a beautiful and long lasting Textured Black finish. The Clear Seeded glass enhances the vintage style while letting the light shine through. W 6 1/4" x H 14 3/4"